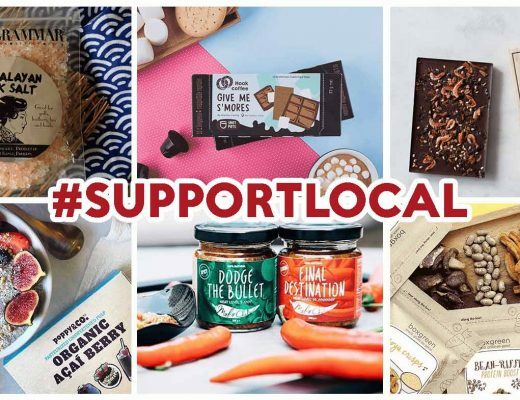 We are fast approaching the second half of the year, and the influx of new restaurants is far from slowing down. 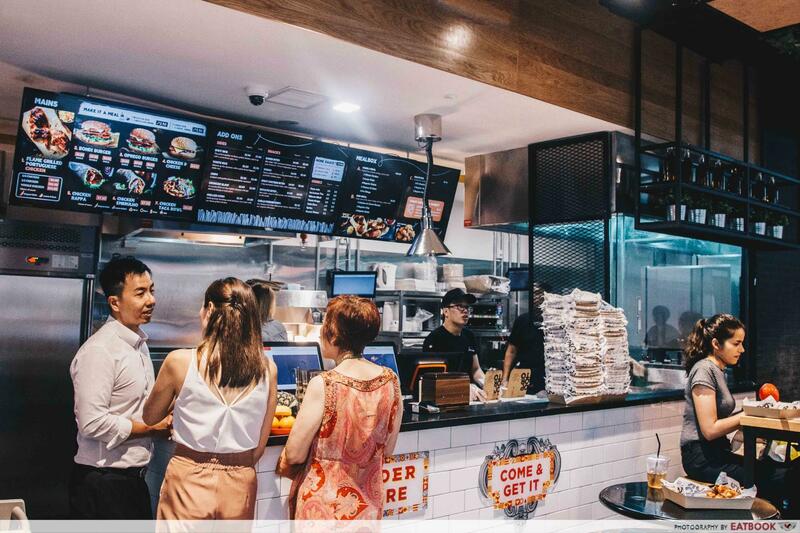 From a cocktail joint serving Chinese bar grub to the re-launch of Five Ten under a new moniker, check out these hot new places in Singapore in May 2018 for great eats around town! Unagiya Ichinoji is a restaurant specialising in unagi, introduced to us all the way from Japan. It also has a rich history of 125 years, so you can be sure you won’t be disappointed by the quality of unagi here. A must-try is their Mamushi Donburi ($18.80++), which is also the cheapest dish on the menu. The dish comes with Hokkaido rice, a blanket of kinshi egg (shredded egg crepe), unagi coated with a salty-sweet tare, and a dollop of pollock roe. There is also a jiggly little onsen egg on the side for you to mix into your rice! Check out our full review of Unagiya Ichinoji! 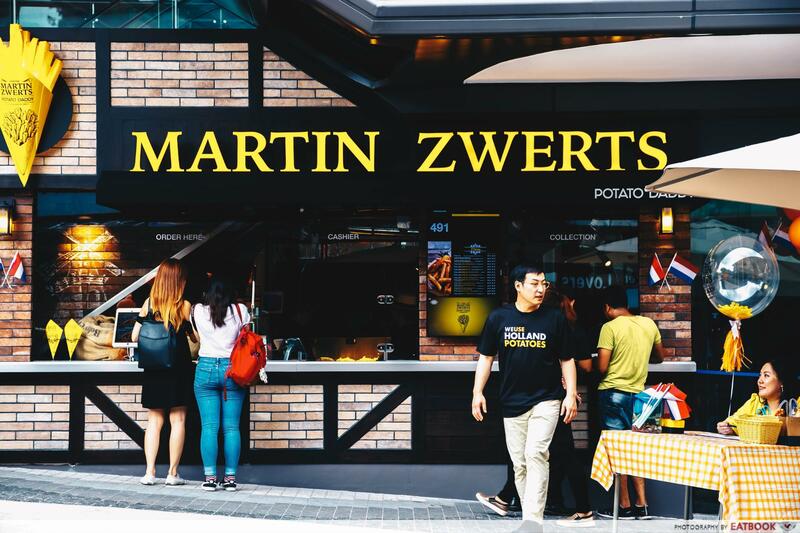 Hailing all the way from the Netherlands is Martin Zwerts – a new fries shop at Holland Village. It is the first Martin Zwerts flagship store outside of Europe since they opened 70 years ago. The fries they serve come in either a small ($5.50) or a big ($6.50) cone. Martin Zwerts’ thick-cut Patat Frites come topped with a sauce of your choice. 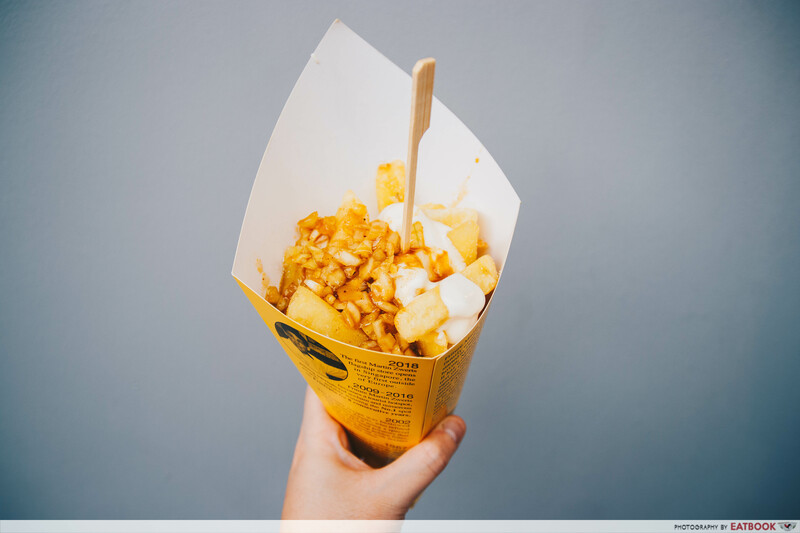 A popular sauce would be their Frite and Kerrie Onion sauce – just one of the 13 sauces they offer. To cater to our taste buds, they also serve familiar flavours such as salted egg yolk and rendang. Find out more about Martin Zwerts! 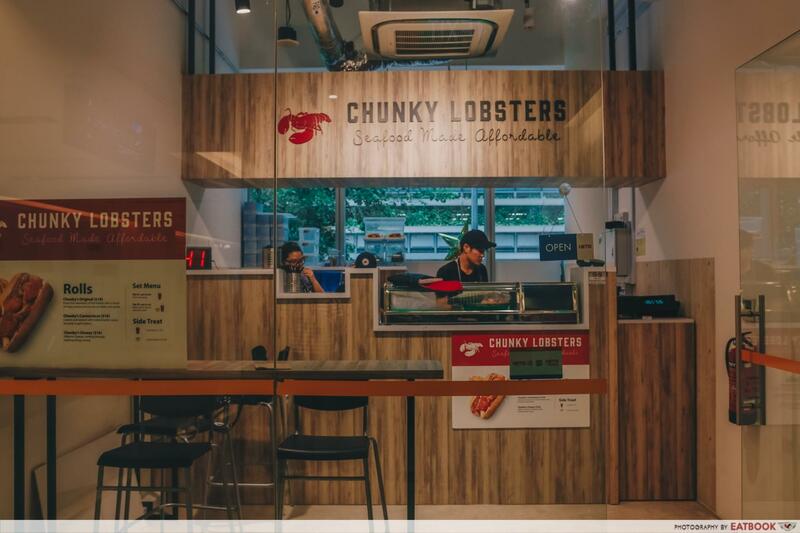 Specialising in lobsters rolls, Chunky Lobsters is a hidden gem located within the CBD area. Although there are only three types of lobster rolls on their menu, you are sure to leave with a satisfied tummy from these meaty lobsters rolls! 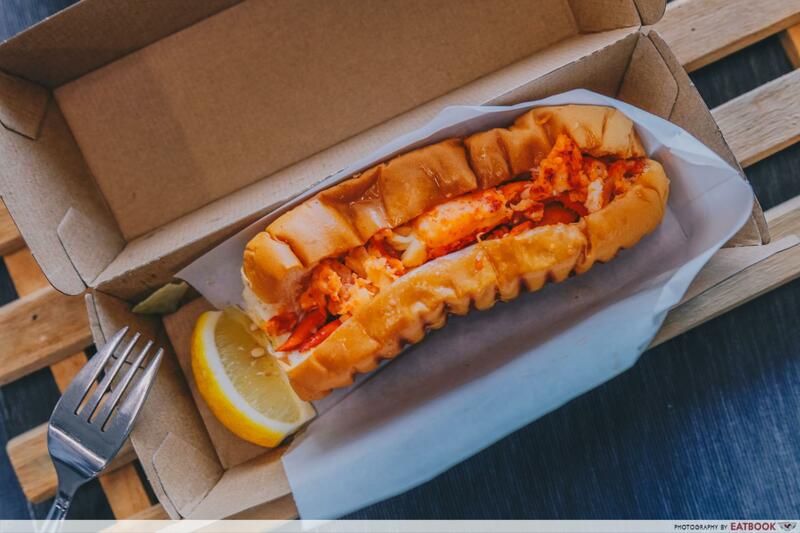 Chunky’s Original is sprinkled with a dash of Chunky Lobsters’ secret herbs and spices, while Chunky’s Connecticut has lobster meat coated with melted butter sauce. Lastly, get ready for some cheesy goodness with Chunky’s Cheezy! All of these lobsters rolls are priced at $16 each. Top up an additional $0.90 for a cup of lemonade, or $3.90 for a bowl of lobster bisque and a cup of lemonade. Check out our full review of Chunky Lobsters! 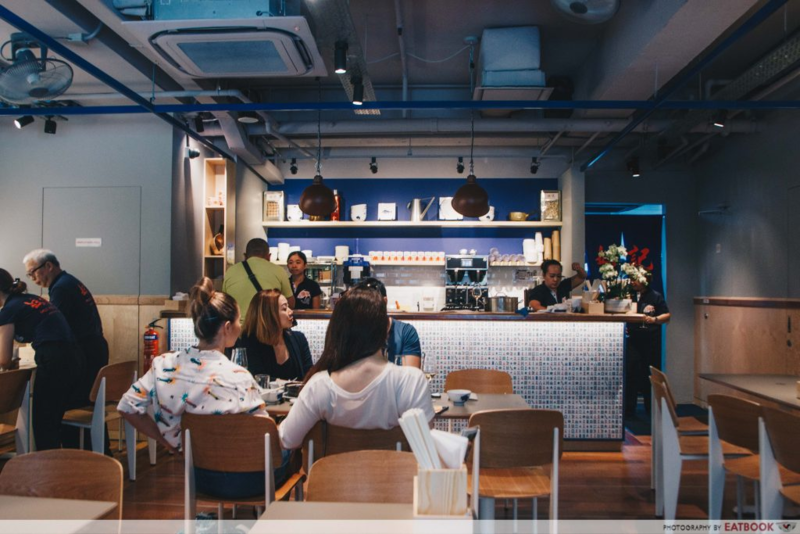 Third-generation congee store from Hong Kong Mui Kee has set up their first permanent outpost in Singapore at Shaw Centre! Aside from congee, they also have moreish sides such as Drunken Chicken in Shaoxing Wine ($10++) and Fried Dace Fish Cake ($8++). 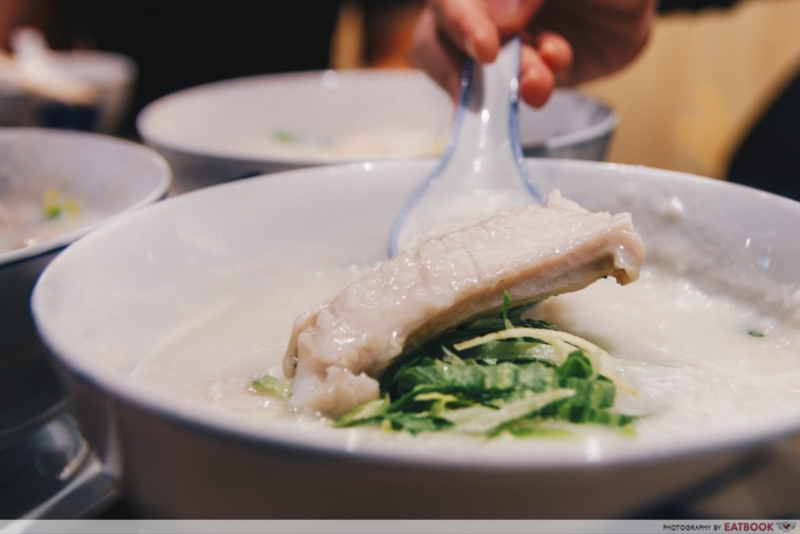 A must-try is their Threadfin Belly ($18++) premium congee, where the fish is first fired up in a wok, to capture a wok hei aroma, before being added into Mui Kee’s congee base. If you find this too expensive, opt for their Parrot Fish Belly ($11.80++) that’s prepared the exact same way. Check out our full review of Mui Kee! G Bar and Grill is a hidden gem serving Western fusion food at value-for-money prices! The dishes here are primarily made using a giant charcoal oven, as everything from meats to dessert is grilled and deliciously smoky. Get their Oven-Grilled Crispy Fried Egg ($5++) if you’re a fan of fluffy, crisp Thai omelettes. If you look closely, you can even make out the brown grill lines on the egg. 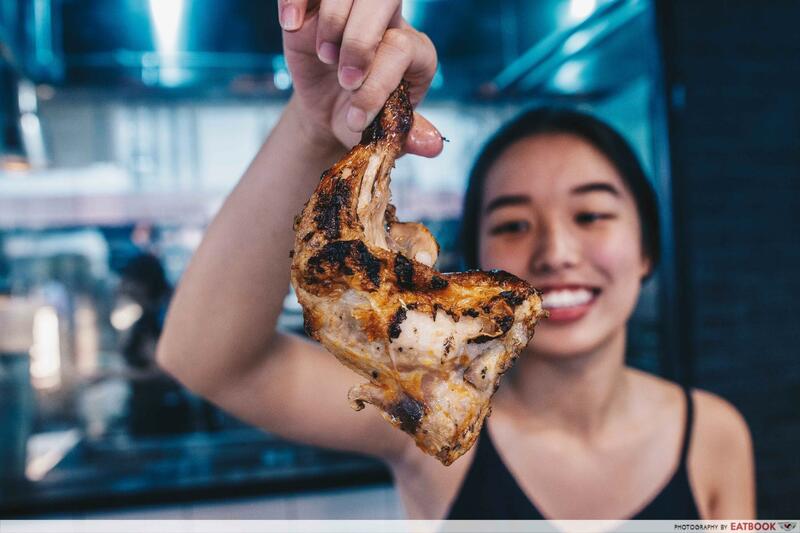 Try their Oven-Grilled Spring Chicken ($18++) as well, for a generous portion of truffle wedges, a whole roasted chicken, and housemade sambal mayonnaise. 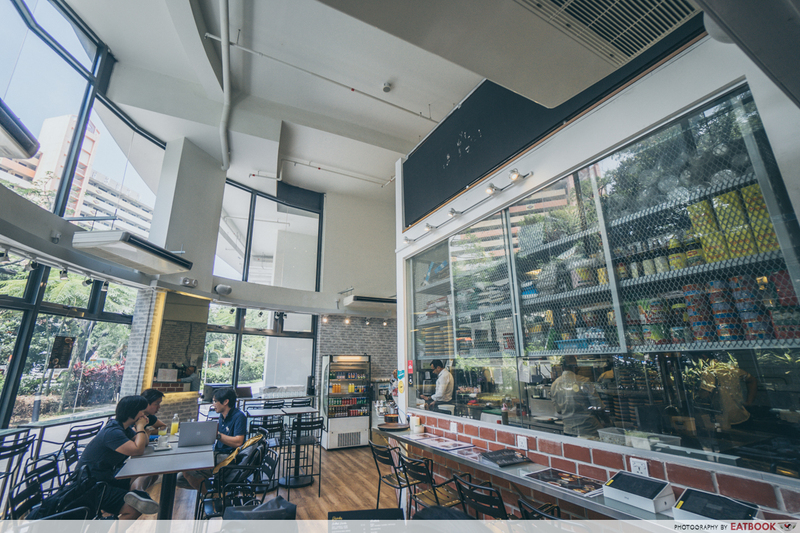 There’s no GST or service charge during lunch hours, so pop by then to save some moolah! Check out our full review of G Bar & Grill! 32 years and about 160 stores later, Oporto from Australia has finally arrived on the shores of our sunny island! 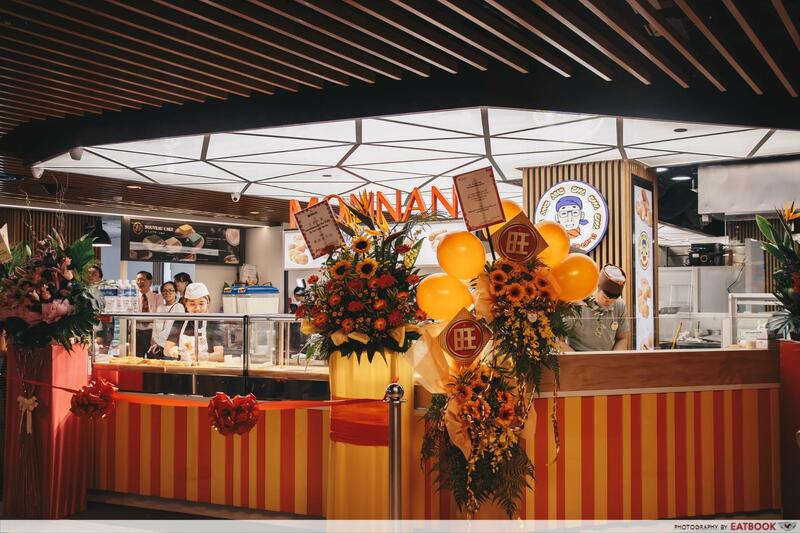 Specialising in flame grilled Portuguese chicken, Oporto is satisfying hungry souls and tummies at Holland Village. You can’t possibly step into Oporto and not eat their ¼ Portuguese Flamed Grilled Chicken Original Chili ($6.90). Here, the chicken pieces are all grilled and marked with char, which is the reason for their delicious smoky aftertaste. Enjoy some golden brown Bondi Bites ($4.90/$6.90), AKA chicken tenders, with your friends if you are looking for something lighter! Check out our full review of Oporto! If you haven’t already been to The Dark Gallery‘s first outlet at Millenia Walk, check out their new one at Orchard. 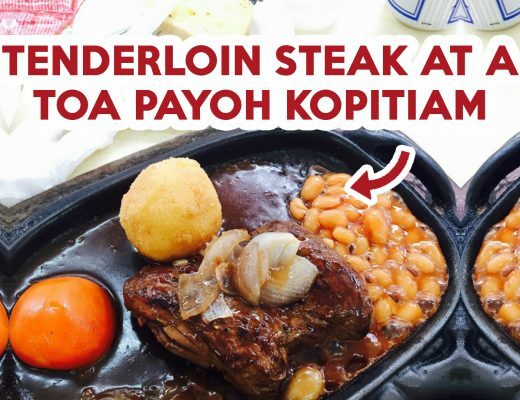 Opened on 28 April, this outlet is their flagship, and offers a wider menu. 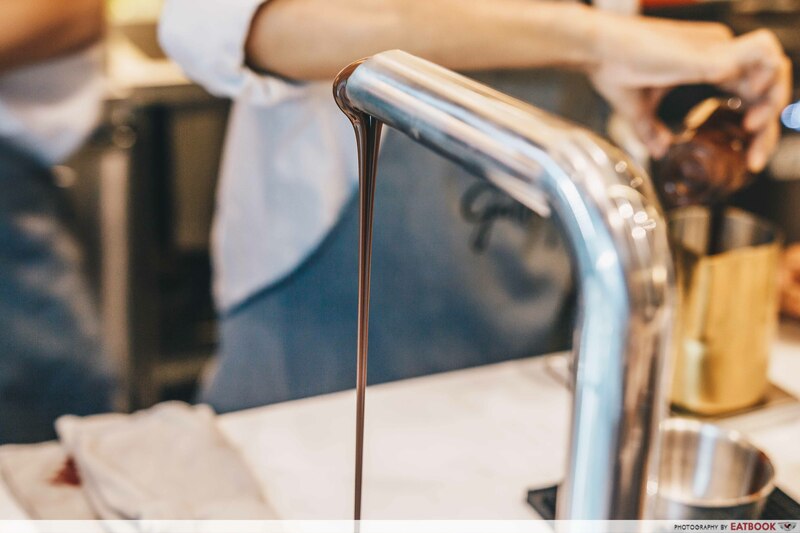 It’s got a range of ice-cream, pastries, single-origin coffee and chocolate drinks, as well as a chocolate tap! Our favourite here are the drinks under their Four Senses of Chocolate range. Priced at $10 each, these 66% dark chocolate drinks are exclusive to the new outlet. There are four flavours to choose from, namely Sucre, Savoury, Spice, and Sangria. For something refreshing, try the iced Sangria, which reminded us of melted orange-flavoured chocolate. 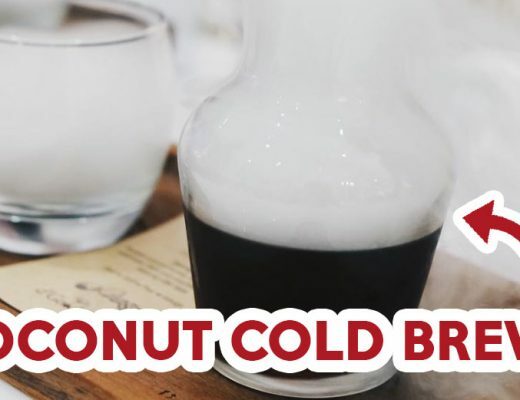 Cheese tea lovers will enjoy Savoury, as it comes with a thick layer of cold cheese foam atop hot chocolate. 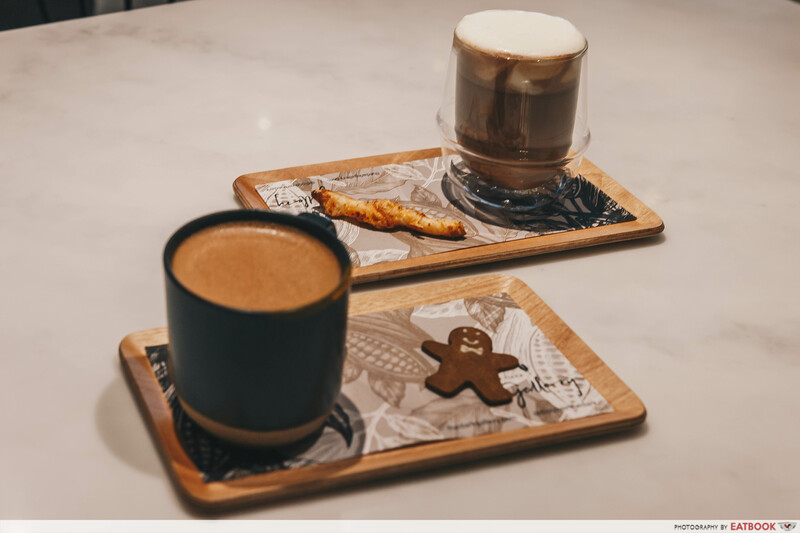 Chai tea latte meets hot chocolate in Spice, and we’d only recommend Sucre to those with a serious sweet tooth. This dessert drink comes with white, dark, and milk chocolate shavings as well as a toasted marshmallow on the side. Check out our full review of The Dark Gallery‘s first outlet! Opened by the brains behind Nutmeg & Clove is Zui Hong Lou. 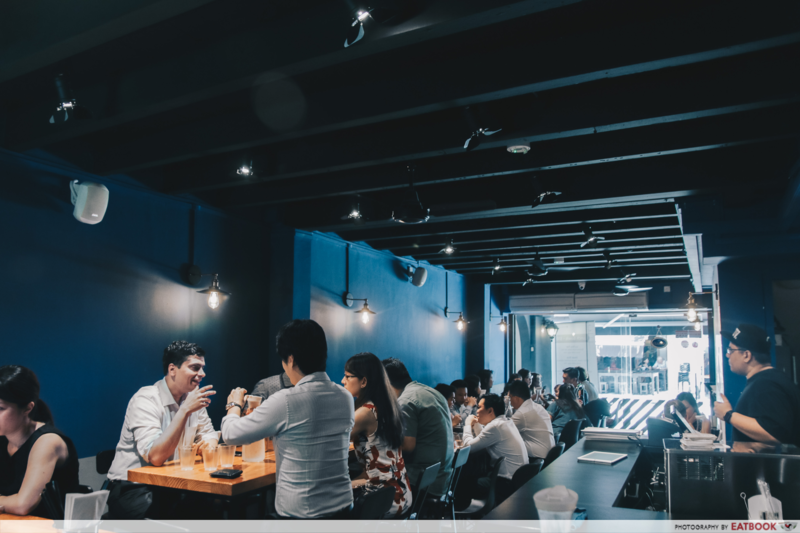 Previously a dim sum bar in 2013 at Ann Siang Hill, the gastrobar has since re-opened at Club Street, bringing with it modern Chinese small plates and tipples boasting local flavours. 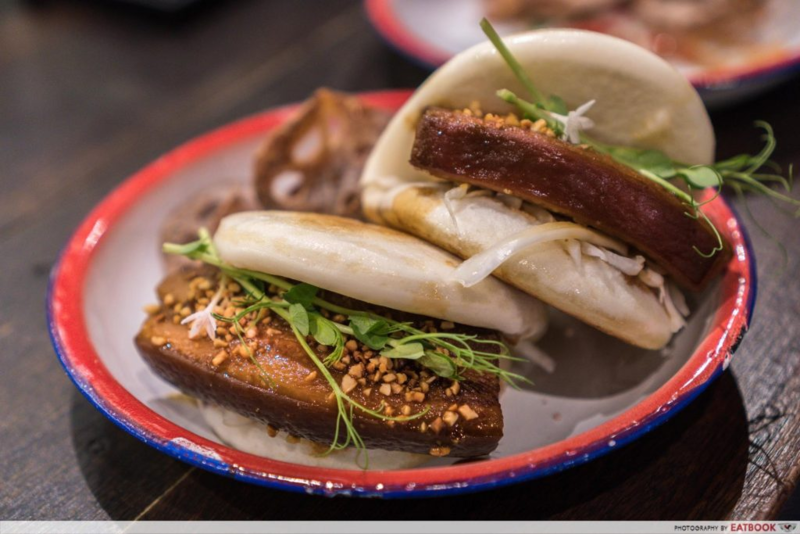 A must-try is their Braised Pork Belly ($9++ for a pair) bao. Here, the steamed buns that kiap the succulent pork belly is pan-fried until toasty for a more decadent bite. A dish that impressed us was the Yang Zhou Fried Rice ($5++), which was tossed in oil collected from grilled lap cheong. 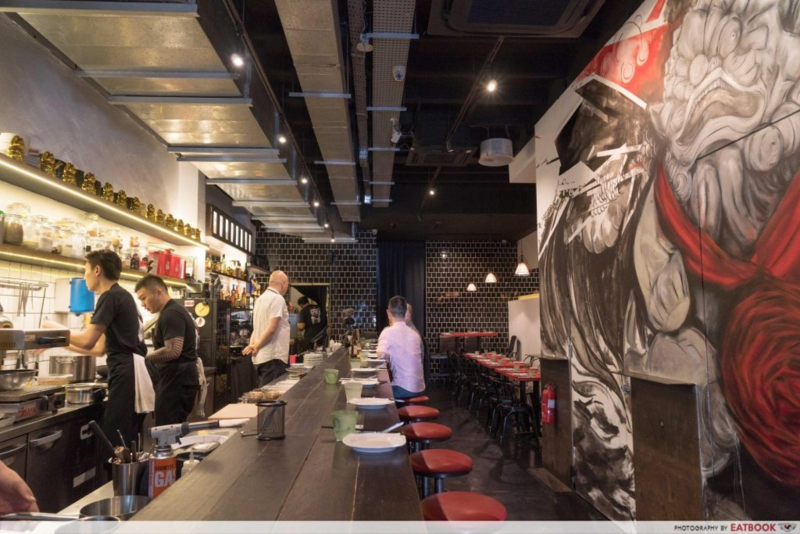 Check out our full review of Zui Hong Lou! 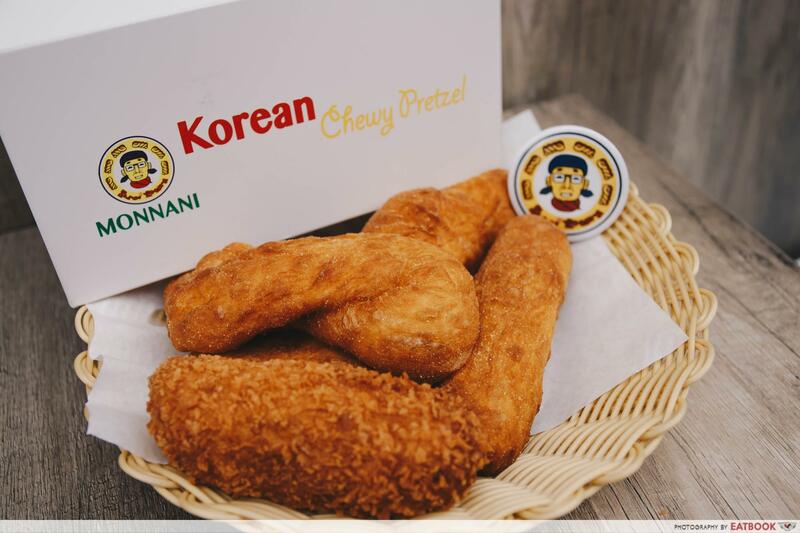 Upon his visit to South Korea last year, Mr Kevin Ong, the founder of Chewy Junior, chanced upon Monnani Kwabaeggi, a stall selling Korean ugly pretzels. Intrigued by the unique shape and taste of these pretzels, Mr Ong decided to bring this brand back to Singapore, and was soon granted the franchise. Also known as ugly pretzels, these delicious snacks come in five different flavours – Original ($1.40), Yuzu ($1.70), Korean Red Bean ($1.70), Premium Cheese ($1.90), and Premium Sausage ($3). These Korean ugly pretzels are made using glutinous rice flour – the reason for its chewiness. They are then deep-fried and rolled in a bed of sugar. On first bite, you’ll taste sweetness as the sugar bits melt in your mouth, before being hit by a tinge of saltiness from the batter. Find out more about these Korean ugly pretzels! Now-defunct pop-up Five Ten has found a permanent spot and a new name. 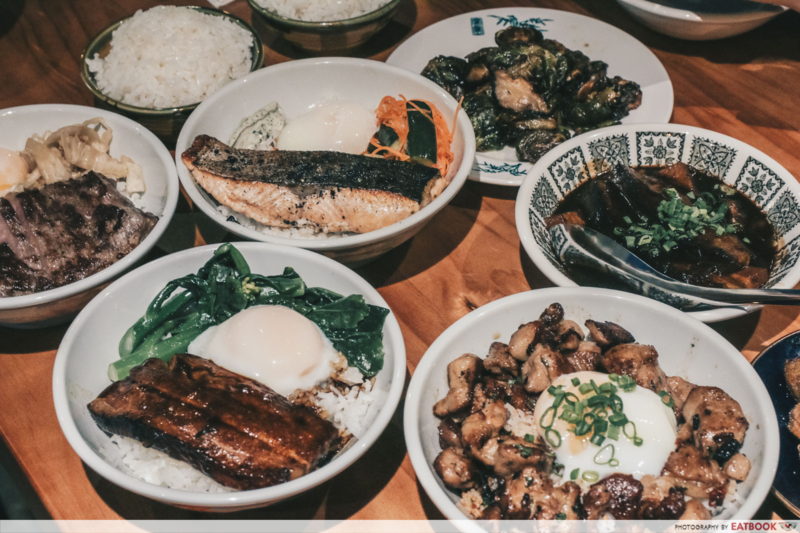 Now known as The Salted Plum, their wider menu sees familiar favourites, as well as new Taiwanese-inspired fare. Take a break from their famous Lu Rou Fan ($10+) and try the new Burnt Chilli Chicken Rice ($10+) instead. It comes with succulent chicken chunks on a bed of white jasmine rice. The chilli, along with charred garlic pieces, adds a depth of flavour to this simple-sounding dish. For sharing dishes, we enjoyed their Salted Pork ($5+), which reminded us of a more salty, fattier version of bacon. 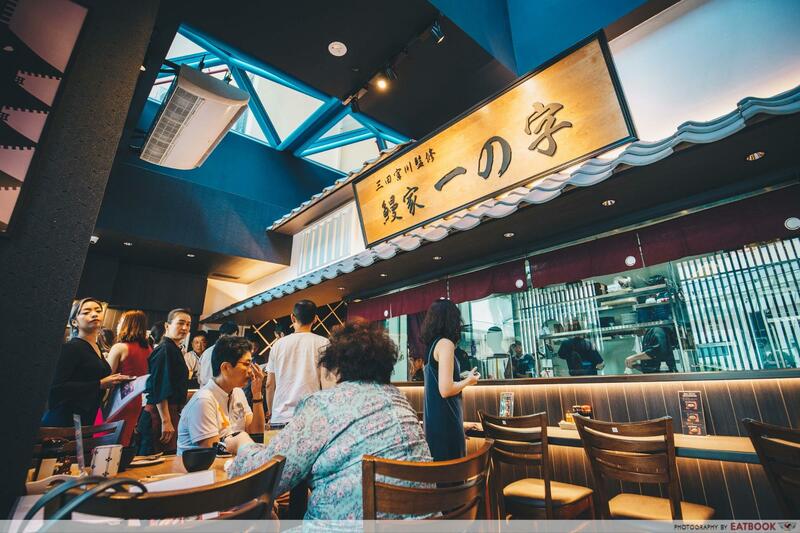 The oldest Japanese restaurant in Singapore, Shima, has launched an all-new spring kaiseki menu. 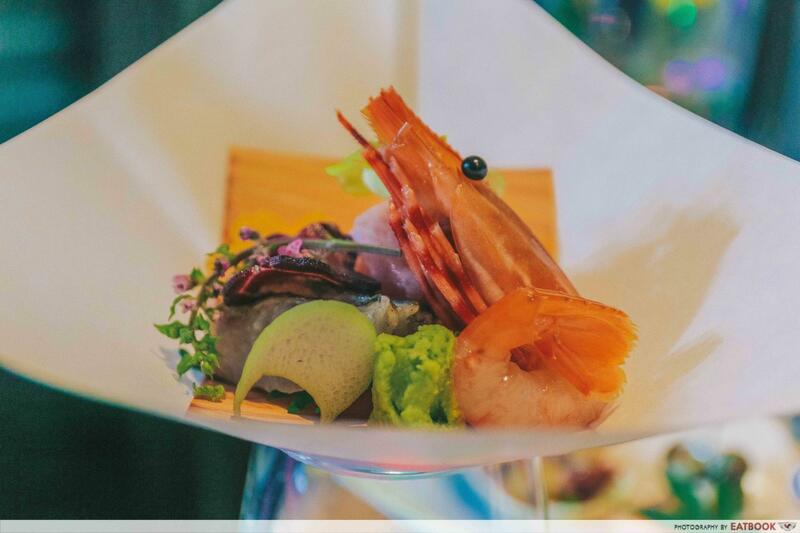 At $88++, the traditional multi-course dinner set comes with an appetiser, seasonal sashimi, four hot dishes, sakura soba noodles, as well as a dessert of sakura mochi and fresh fruits. We loved how each dish amplified the ingredients’ natural flavours, with each element complementing the other. Everything was so fresh; with one taste, you can tell the quality of the produce used, from the fish to the strawberries and rock melon that were served at the end! 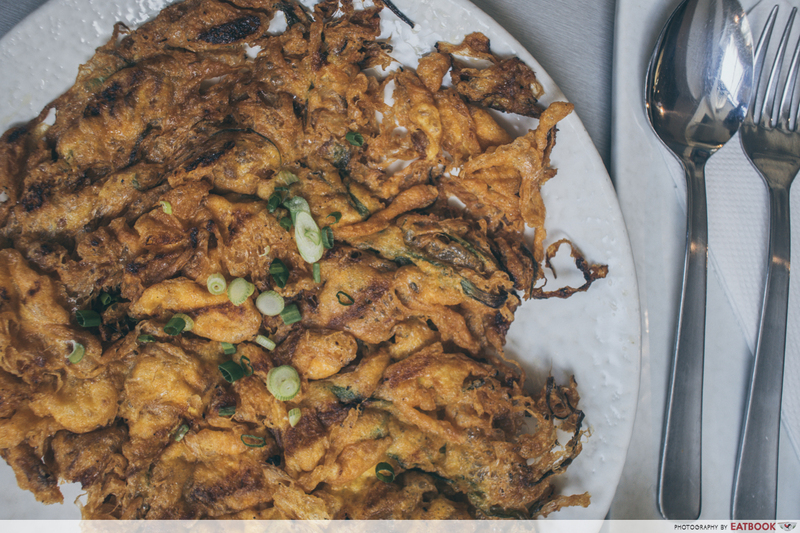 If you’re looking for places to bring your mum to for Mother’s Day, check out our list of Mother’s Day buffets and set menus instead! 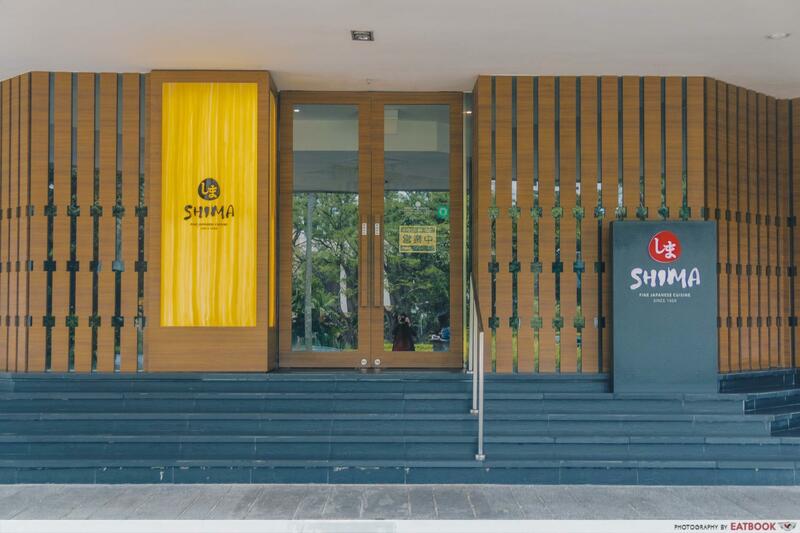 Those who missed out on restaurants and cafes that opened just last month, check out these new restaurants in April 2018.